Photography is an expression of the world we live in, and of what we see and experience. Many contemporary photographs seem filled with negativity and warped, malignant things.That these negative things and perceptions exist now for a time in the world with us is indisputable, but I feel strongly that there is no need to give life and strength to them. Too often, attempting to represent the sacred in nature is maligned as being naive or simplistic, and is said to be unchallenging and visually unsophisticated. This need not be so. Today the Master of Fine Art Photography travels extensively throughout the United States to photograph. His masterful printing and numerous exhibitions rapidly brought him international acclaim. His photographs are featured in many public and private fine art collections. Burkett also has taught several workshops sponsored through the Friends of Photography and Anderson Ranch Arts Center. Marvel at the Luminosity of the Christopher Burkett Photographs. “Burkett uses his masterly eye and remarkable printing skills to catch the divine beauty of nature untouched by man. 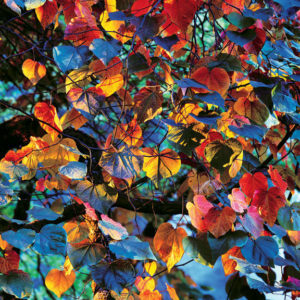 Burkett’s photos catch in meticulous detail the magical convergence of light, form and color that only nature commands. The pictures are a tribute to his unflagging energy, keen eye and absolutely brilliant ability as a master of the color darkroom.” –The Washington Post. He meticulously hand prints his 8 x 10″ transparencies to 20 x 24″ and 30 x 40″ with impressive sharpness and rich tonality. All images are archivally overmatted, signed and numbered by the artist. All photographs from the book “Resplendent Light” are square format photographed with a Hasselblad 2 1/4. Burkett has been named a Hasselblad Master for 2004.